That's a Bucks version of Ray Allen? 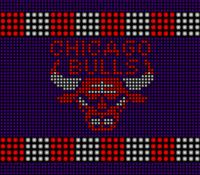 They had a Sonics and Celtics version right? That's his Sonics version, as well as the only version (at least so far). Oddly enough, his portrait and CF have him with hair (which should be his Bucks years), but his card art has him bald and in a Sonics uniform. Even stranger, there exists a bald version of Allen, but he's only been seen as an NPC in the Live Events mode (representing the Celtics). 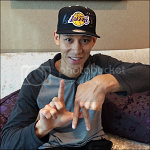 If he gets a Bucks version, he should have at least a 96 in threes. Even though he had two seasons with a higher three point percentage during his run with Celtics, he was more consistent at shooting more than 40% with Milwaukee. Last edited by shinron15 on Fri May 25, 2018 6:28 am, edited 2 times in total. Yeah I think it might have been them trying to reuse assets from previous games. I noticed Mitch Richmond in game doesn't match the card. There's a couple of players like that. Something I didn't notice until recently is that Master Garnett uses his Celtics CF instead of his Wolves CF. It's probably for the better, since his Timberwolves legend CF is awful, and doesn't even resemble him at all, while his Celtics variant looks much more like him. Looks like a great card. 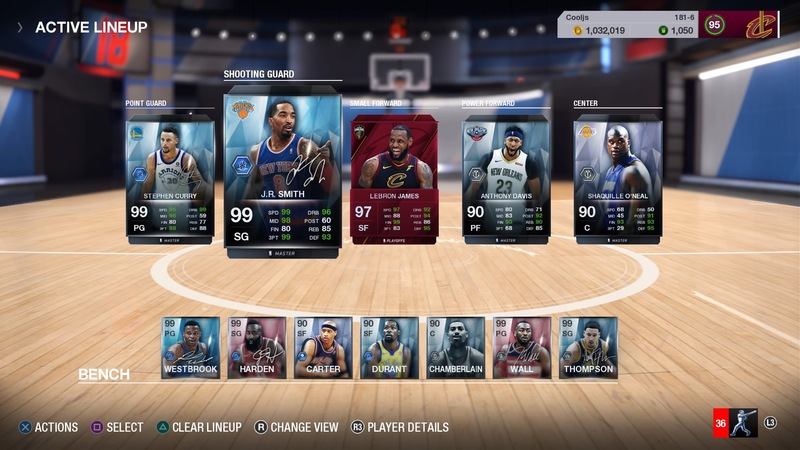 I need more three-point shooting in my lineup, I think. 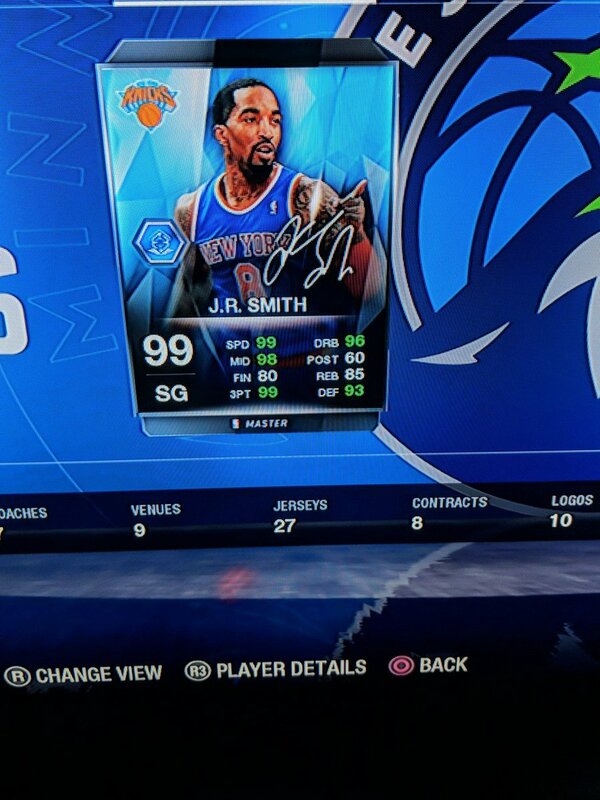 J.R. Smith's 99 overall card represents the Knicks. 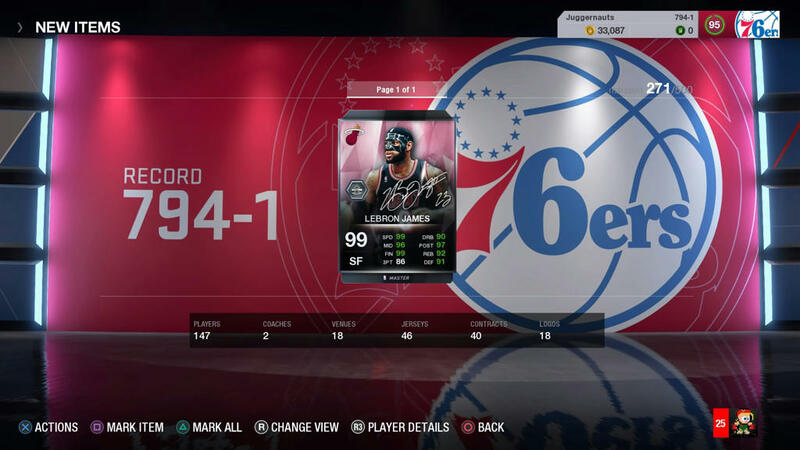 This also strongly hints that masked LeBron is going be the 99 Master James card. Surprised his finishing rating is that low, though I guess it's already a pretty OP card. Don't let that finishing rating fool you. Nuggets Smith has a flashy dunk package, and was capable of dunking over defenders, despite his finish rating being a 78, and this one looks even better. It's kind of funny how people used to call the masters "poor man's legend cards", and here comes the part 2/2 program with 99 OVR cards. Now I see cards like 97 Bird going for 250k, and 96 Magic going for 70k. 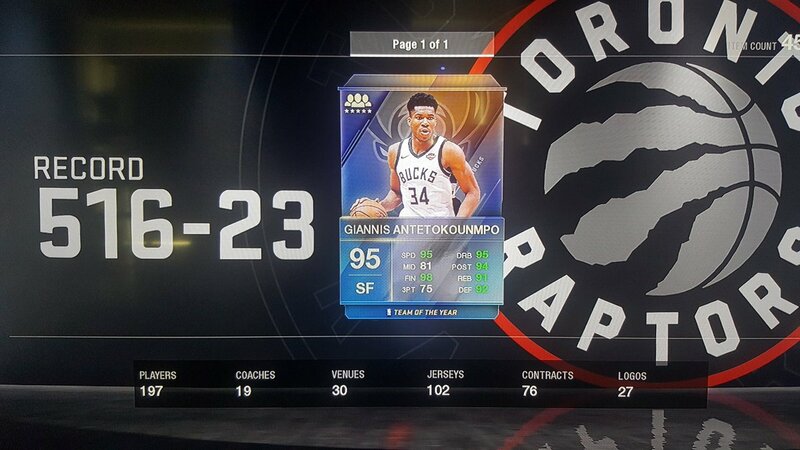 ToTY Antetokounmpo. First released card with all green attributes on the right side. Based on these ratings, he can play all five positions. This is probably the last card that I want from the program, since the last 4 players (Westbrook, Harden, Davis, and LeBron) will all get 99 OVR masters. Only real weakness is three-point shooting, and 75 is generally good enough to knock down open ones. Had a couple of exciting comeback victories last night. The cheapness of the AI in the ToTY and Legends Challenges had me trailing late, and in the case of the ToTY game, down big in the second quarter. Furious rallies late in the fourth resulted in wins both times however, with Chris Mullin hitting the gamewinner in the second contest. It's funny because the games were quite frustrating and examples of things that need to be toned down on the tougher difficulty settings for more balanced and realistic gameplay, but they also felt immensely satisfying because of the wins. Went ahead and put together some clips of the comeback wins in this week's Monday Tip-Off. Andrew wrote: Had a couple of exciting comeback victories last night. The cheapness of the AI in the ToTY and Legends Challenges had me trailing late, and in the case of the ToTY game, down big in the second quarter. Furious rallies late in the fourth resulted in wins both times however, with Chris Mullin hitting the gamewinner in the second contest. It's funny because the games were quite frustrating and examples of things that need to be toned down on the tougher difficulty settings for more balanced and realistic gameplay, but they also felt immensely satisfying because of the wins. Victory does make the cheapness worth it! It is something that needs to be addressed, but I do want the game to be competitive. 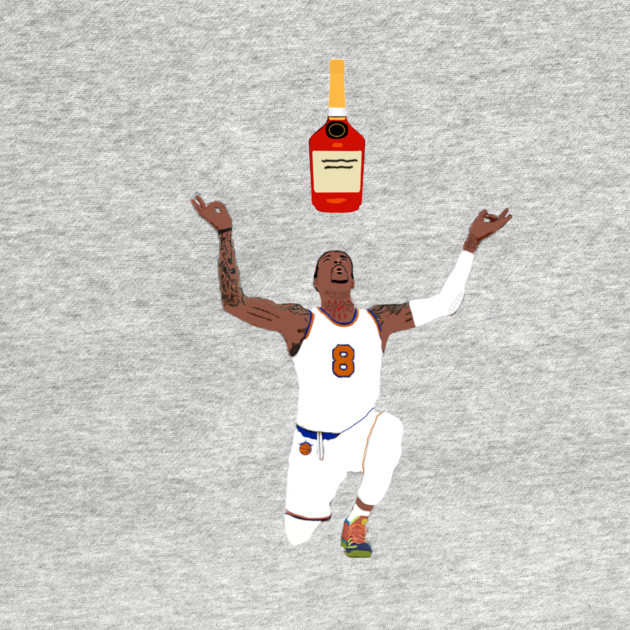 The Henny God is here. 80 for finishing sill feels a little low. Best card art in the game. Best offensive player in the game. Are we sure Vince isn't on the cover of live 19? They juiced his stats just a little bit. The team is almost complete. 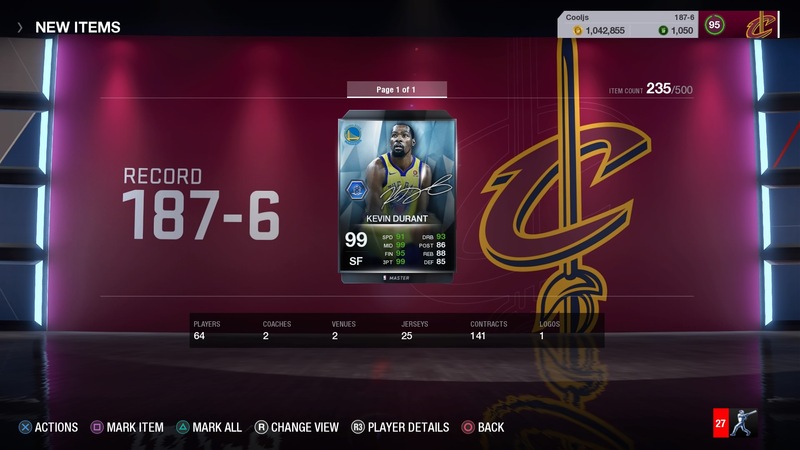 That card looks simply unstoppable, assuming his dunk package matches the card art. Speaking of which, awesome card art indeed. That's part 2 of his master card right? [Q] wrote: That's part 2 of his master card right? A bit of a shame they released them so late. 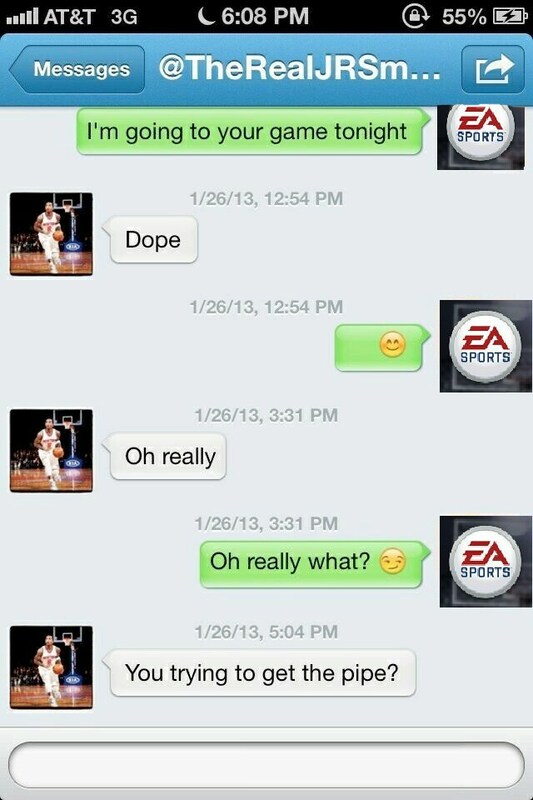 The cover athlete for will be announced by the time all of the 2/2s are out. Maybe should have released them before the playoffs to keep peoples interest. 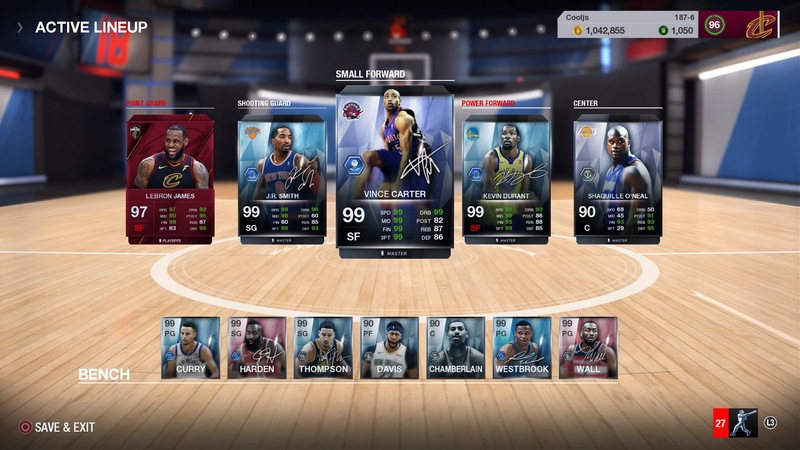 Hi zzcoolj, is the 99 Vince Carter really much better in game compared to the 90 rated one? Thanks. matmat66 wrote: is the 99 Vince Carter really much better in game compared to the 90 rated one? Thanks. Absolutely. You have a much easier time with on-ball defense with the 99 Master, as well as better shooting. Slowly but surely, I'm getting most of these 99 Masters. 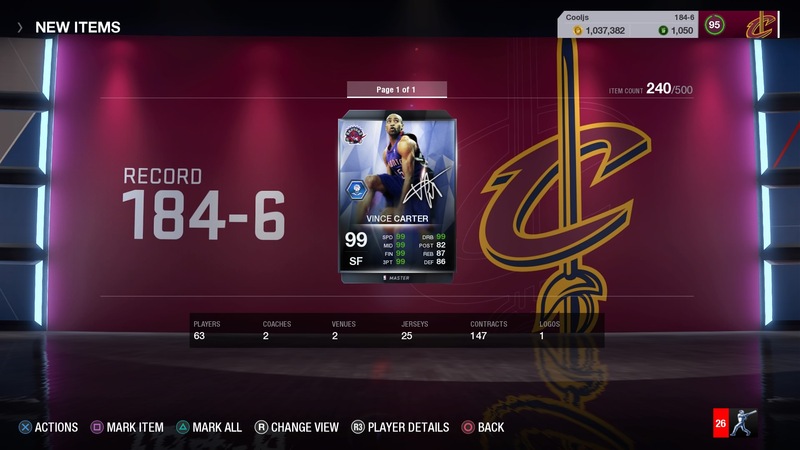 Have the dunk packages for the Master cards been fixed?